The EB-5 program (Employment Based, 5th Category) was enacted by Congress in 1990 to facilitate access to capital for job-creating companies and projects in the United States through foreign investors. The goals of the program are to spur economic growth and to promote job creation. The program is administered by the United States Citizenship and Immigration Services (USCIS), a division of the Department of Homeland Security. HOW DOES THE EB-5 PROGRAM WORK? The EB-5 program provides a method of obtaining permanent residency in the United States for foreign nationals who invest money in the United States in job-creating projects or businesses. 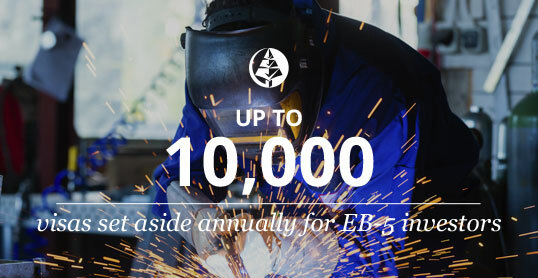 To obtain an EB-5 Visa, individuals must invest $1,000,000 (or $500,000 if the investment is made in a Targeting Employment Area (TEA) or rural area) in a job-creating enterprise that is creating or preserving at least 10 jobs for U.S. workers. EB-5 Investments may be made directly into a project or through a Regional Center. 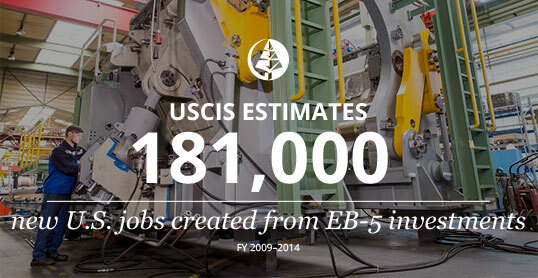 EB-5 allows foreign investors to obtain permanent residency in the United States by providing critical capital investment for businesses growing the U.S. economy to create jobs for U.S. workers. EB-5 provides a low-cost source of capital that can be utilized for a project when traditional sources of capital might not meet the capital needs of your business. Pine State offers competitive, flexible financing options including senior and secondary debt, mezzanine or subordinated financing, or it can be used to replace more expensive capital sources in certain instances. Our focus is to create fleixible financing alternatives for projects while providing a secure investment opportunity for EB-5 investors to obtain permanent residency in the U.S. For more information on financing your project, see FINANCING or contact us. Pine State Regional Center participates in the EB-5 Immigrant Investor Program, and as a Regional Center, we work with both projects and foreign investors to ensure the creation of the requisite jobs and managing the investments in qualifying job-creating enterprises. 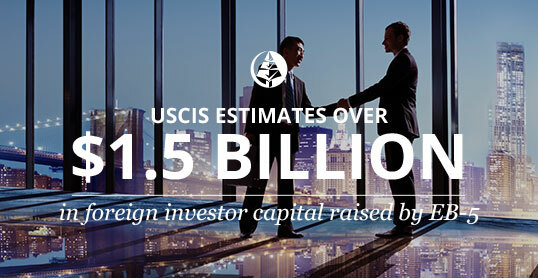 We strive to ensure our projects are successful to provide financial stability and security for our EB-5 investors. If the foreign investor invests in a Regional Center sponsored project approved by USCIS, both direct and indirect jobs created may be used to satisfy the job creation requirements giving additional security to the investor. Visit USCIS.gov for more information. 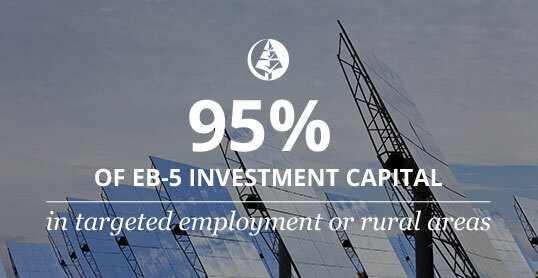 The EB-5 program provides capital to businesses, jobs to our communities, and permanent residency to foreign investors. We match foreign investors seeking permanent U.S. residency with sound investments with strong potential for creating the requisite jobs.